Registry Help – Manage and optimize your Windows Registry safely and easily! Registry Scan and Repair - FREE Scan!!! -- Standard Scan: a quick way to check your registry to find some potential problems. -- Complete Scan: check your entire registry thoroughly to find all possible problems. -- Custom Scan: enable you to scan parts of registry where you suspect the problems are most likely induced. By repairing these invalid entries, Registry Help / Pro can not only prevent your system from possible Windows crashes and error messages, but also free more space and resource in your computer.With such regular Scan and repair, you will have a clean registry and a safe, stable and faster system. Analyze and defrag all windows registry files and even any file on your computer! Optimize registry and boost up the performance of your windows system. 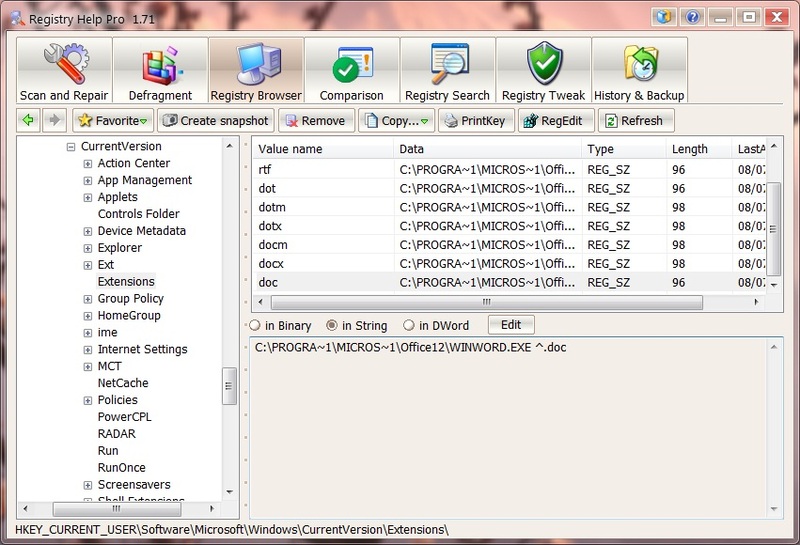 Registry Tweak List provides useful tweaks related to the Windows registry. 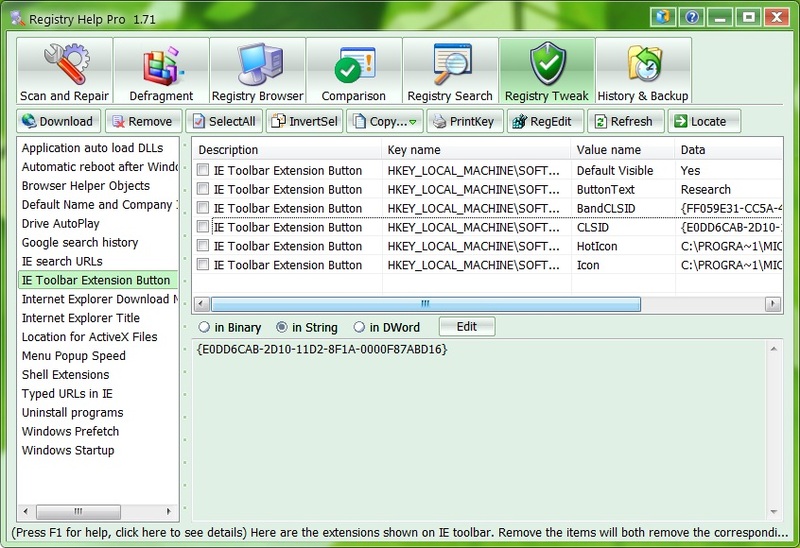 By adjusting the corresponding value in registry, you can optimize your system easily. New tweak items will be provided continuously, so you can download new tweaks from www.foryoursoft.com. -- Add keys to the "favorite"
Registry Help / Pro provides you a very powerful search engine which enables you to search in your registy very easily, quickly and accurately! The search can be very flexible. By setting the search options, you can choose to search your key words in your selected root keys, search in key name, in value name, or in value data.The result will be gathered and displayed in the list dipicted by "Description" telling you where the key words are found, "Value name", "Value data" and "Type". Also, it's convenient to locate the search result in your registry. Registry History will record and save all the changes of your registry you made in the above sections including the removed key entries in "Scan and Repair" section, and edited or deleted key entries in "Tweak List " , "Reg Browser", and "Search" sections. The recored changes will be classified by date and time. You can restore the changes easily. "Compare" section enable you compare your current registry with previous snapshots you took before and so that ensure you keep knowing the changes in your registry. You can rollback some undesirable changes separately or you can choose to rollback your whole registry to an old date.